Hanover / Horsovsky Tyn, September 11, 2018. 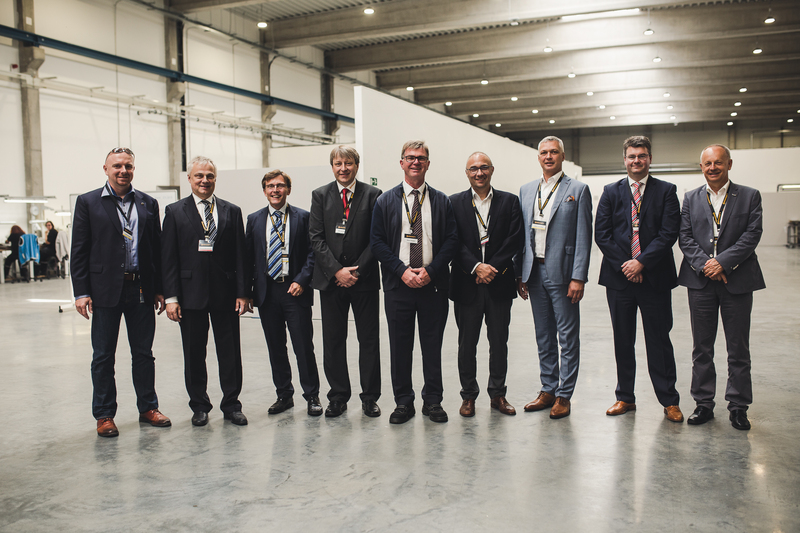 Yesterday, on September 11th, the technology company and premium tire manufacturer Continental celebrated the official opening of the new production hall of their molds and container manufacturer A-Z Formen- und Maschinenbau GmbH (AZ) in Horsovsky Tyn. Guests from local authorities, Vaclav Mothejzík - Mayor of Horsovsky Tyn, Josef Bernard– Regional Council President, Jan Latka – Senator as well as Continental management representatives and employees gathered to celebrate this special event and were hosted by Michal Anton, Plant Manager in Horsovsky Tyn. AZ was founded in 1965 in Munich and was fully integrated in Continental Molds and Machinery in 2015. Continental Molds and Machinery is the leading-edge technology partner of Manufacturing Tires and with AZ together employs around 900 people at Continental’s locations in Hannover-Stöcken, Runding (Germany); Otrokovice, and Horsovsky Tyn (Czech Republic) and our service centers in Hefei (China) and Sumter (United States). Prof. Dr. Thomas Winkelmann, Head of HR Manufacturing & Logistics Tires, said in his speech: “Since the beginning in 2015 I have accompanied the integration of AZ in our corporation. The positive development of AZ in the past years is linked to being part of a global company. The greenfield investment in the new production hall, investments in innovative technologies of over EUR 11 million, a growing workforce of currently around 180 people and knowledge exchange at an international scale add value and are a foundation stone for AZ future growth and success with Continental”. Albert Kaiser, Director of AZ explained the technology used by AZ in Horsovsky Tyn, for example: Digital data from mold design is converted by the CAD/CAM system directly in manufacturing applications. These technologies include, machining operations like drilling, turning and milling up to max. diameter of 2500 mm, laser cutting and welding, gravity and low pressure casting, CNC measuring and automated handling. New technologies were added, like 3D Printing and Laser Engraving. Michal Anton, Plant Manager, thanked all present at the event and for their contribution to AZ’s success and emphasized in his speech the opportunities and benefits that arised from the integration of AZ in the global corporation. The perspectives offered by Continental to the employees of AZ in terms of career opportunities, better working conditions, standardized production and manufacturing processes contributed to increasing the attractivity on the labor market and positioned AZ among the top three employers locally.